ELECTRIFY plans to develop a decentralised energy marketplace that runs on the blockchain. 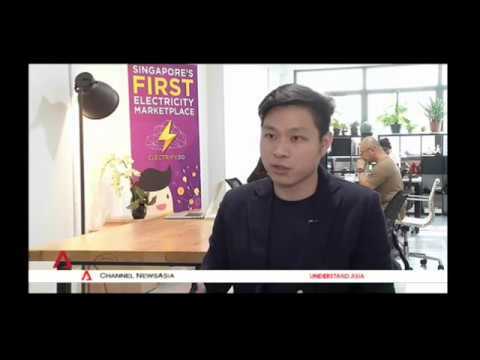 As an improvement from the existing marketplace business in Singapore, the new MARKETPLACE 2.0 will allow anyone to source for energy from commercial energy suppliers or to buy directly from a private producer via ELECTRIFY’s peer-to-peer (P2P) trading platform, SYNERGY. ELECTRIFY will enable the decentralisation of power production and bring the power of choice to the consumer. We aim to build a better electricity network, and it starts with an intelligent energy ecosystem. At the heart of this new ecosystem will be energy smart contracts secured on the blockchain, fueled by the ELEC token. More and more projects in decentralized retail energy marketplaces are showing up. On the positive side of the ELECTRIFY project, they have already an existing business and more than 30GWh of electricity has been transacted. For the implementation of the blockchain technology they have developed their own IoT device (PowerPod) to measure and enable P2P trade via smart contracts. ELEC token has a clear economy and its use in the project’s eco-system is justified. There is a clearly defined and understood business model. The team has an adequate professional experience to succeed. The project is backed by the community in the Telegram chat (more than 3k participants). I guess that this particular project would not be overlooked by investors.